I’m semi-crafty but I don’t usually take time on the blog to enjoy that with you. 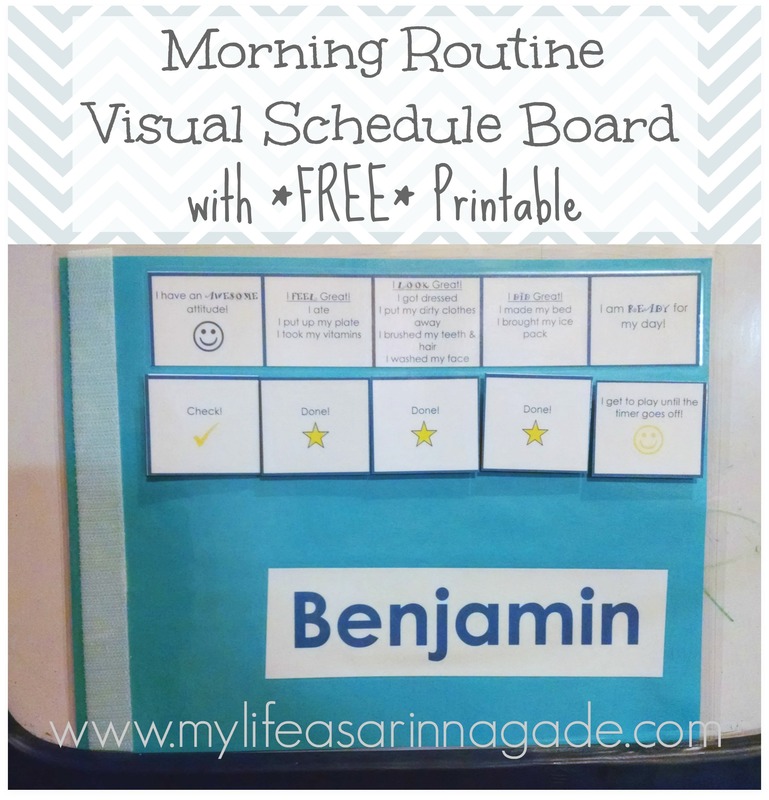 Today, we’re creating a morning routine visual schedule board to help you and your littles get ready. 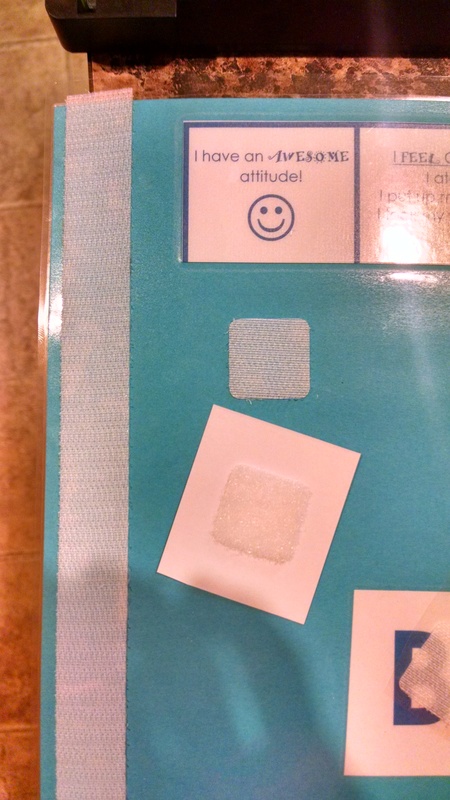 When the boys were diagnosed, I had no idea how much Velcro would be involved with autism. But oh, yes, it’s true. Before we get crafty, you’ll need to decide what it is you want you child to accomplish. What is your to-do list for the morning? For us, it’s a list of things…a rather long list when you write it all out. So I’ve compartmentalized to simplify; I’ve grouped together “like” tasks and put them in a box together. Now, it looks like there’s only five things to do every morning :). I’ve provided our template to put your unique to-dos in. The top row is what you’re wanting to customize. Keep in mind I’ve created this for three children so you’ll see repeat rows. You just need the top two to create one schedule board. Once you download it, you’ll be able to customize it. Once this is customized, you’re ready to get crafty. 6. 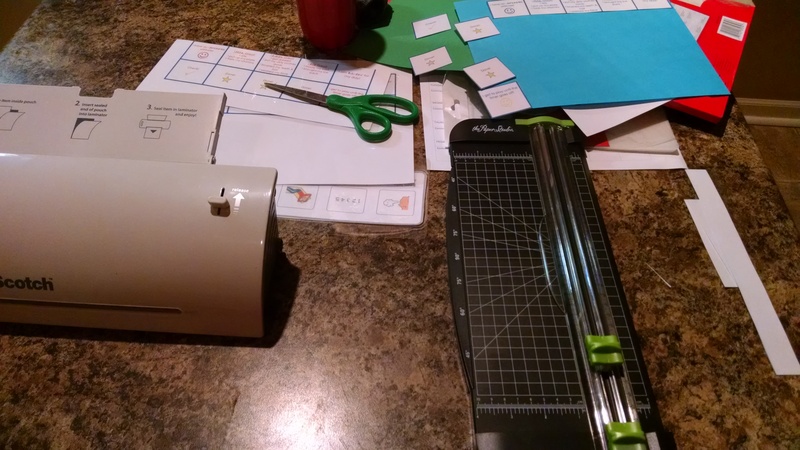 Laminate your mat (yes, we’re double-laminating and the tightwad in me hates that but it’ll be okay). Be sure to do a “dress rehearsal” with your child before it’s go-time so he is familiar with the new routine. Let your child take ownership of it after he understands it. I let the boys decorate their mat with stickers. 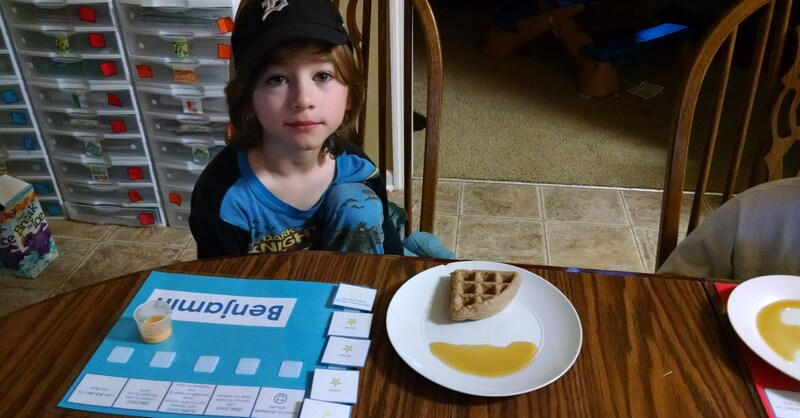 The goal is for them to use the boards to gain independence in their morning routine. 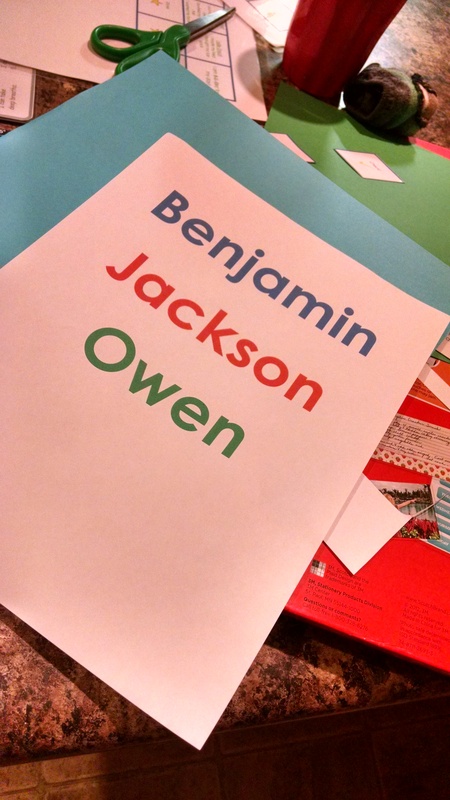 My boys are 6, 7 & 7 so we’re a little past picture schedules but this could easily be done with pictures instead/also. Just Google the image you’re looking for and paste it into the box. You can type the phrase under the picture for more emphasis. 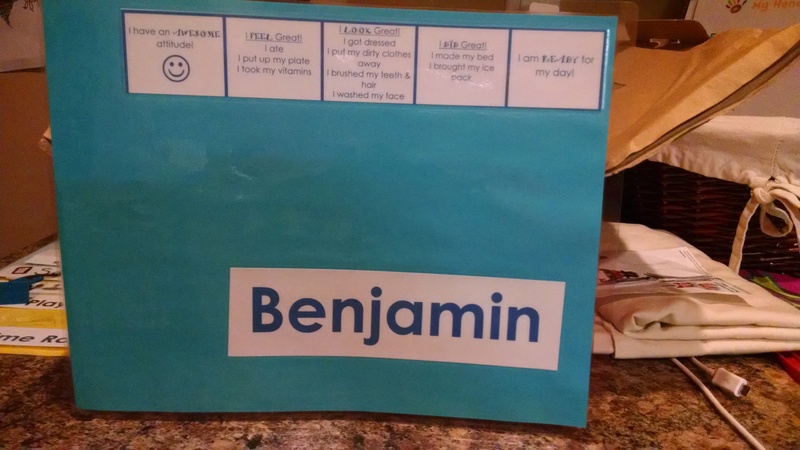 This could work with many different routines – bedtime, homework, etc. Make sure you end with some type of incentive. Mine is their play time until we leave for school. It does help them to keep track; mine get distracted really easily so this gives them something tangible to come back to. Thanks for reading, Barb! Fantastic idea! I have a printed morning routine for my kids, however, they have to keep coming back to check it to make sure they’ve done everything. Having removable items would help them do a better job of keeping track of what they’ve accomplished.